So, I headed to my local Walmart store and picked up everything I needed to create this cheesy semi-homemade recipe. 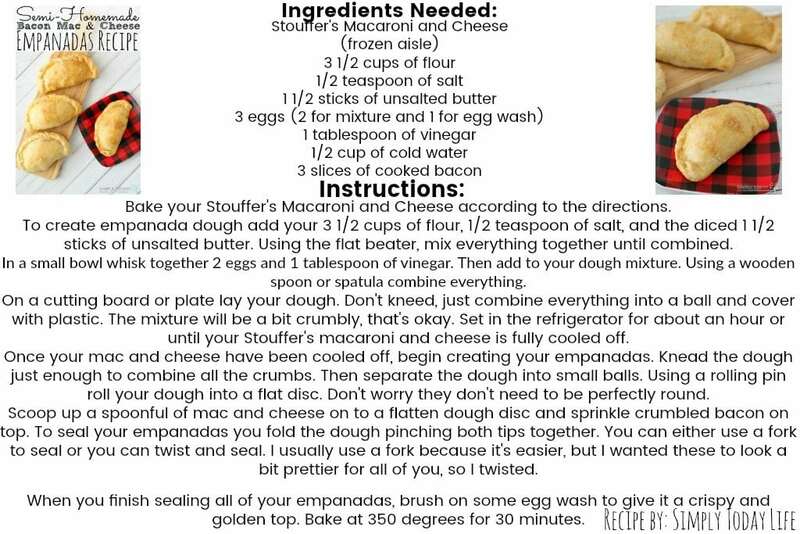 I wanted this recipe to be easy I picked up our favorite Macaroni and Cheese from Stouffer’s in the frozen section. I will admit, I was a bit excited and couldn’t wait to cook these up! Mostly because I knew everyone was going to love them and I would be able to whip up a batch every week on busy nights! 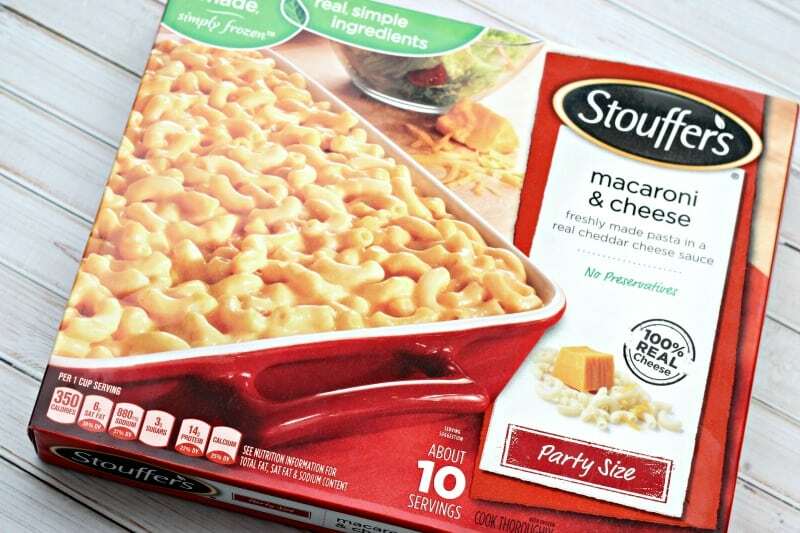 Start off by baking your Stouffer’s Macaroni and Cheese. I purchased the family size, and I used half of it to create my empanadas. I saved the other half for the next night’s dinner. Follow the instructions on the back of the box to bake your macaroni and cheese. At the same time add your strips of bacon to the oven in a pan to cook until crispy. 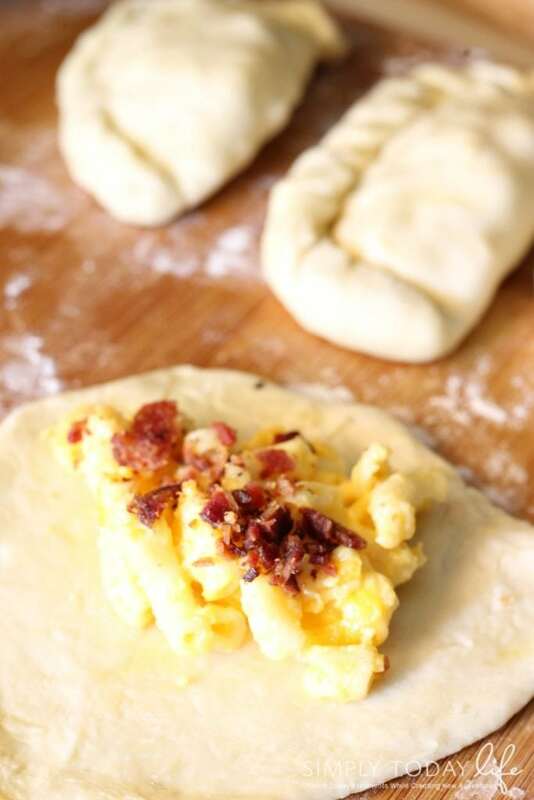 While your mac and cheese is baking, begin making your empanada dough. In the mixture add your 3 1/2 cups of flour, 1/2 teaspoon of salt, and the diced 1 1/2 sticks of unsalted butter. Using the flat beater in your mixture, mix everything until combined. In a small bowl whisk together 2 eggs and 1 tablespoon of vinegar. Then add to your dough mixture. Using a wooden spoon or spatula combine everything. On a cutting board or plate lay your dough. Don’t kneed, just combine everything into a ball and cover with plastic. The mixture will be a bit crumbly, that’s okay. Set in the refrigerator for about an hour or until your Stouffer’s macaroni and cheese is sufficiently cooled off. 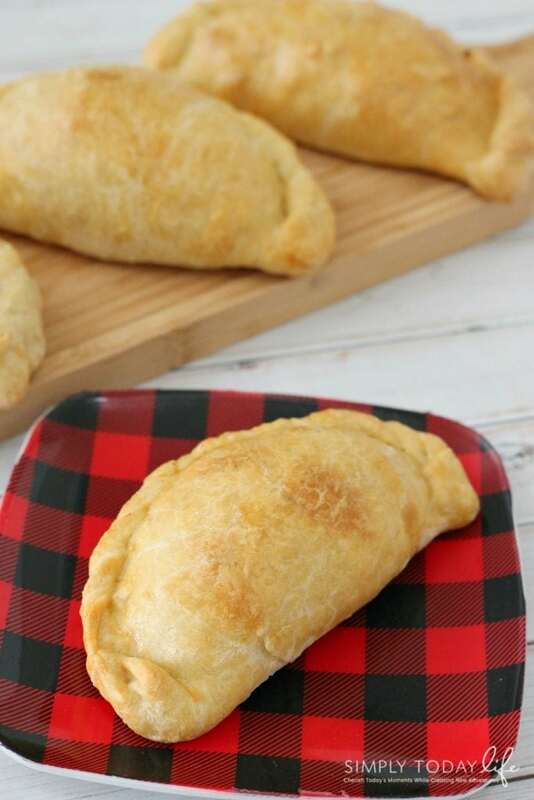 Once your mac and cheese have been cooled off, begin creating your empanadas. Knead the dough just enough to combine all the crumbs. 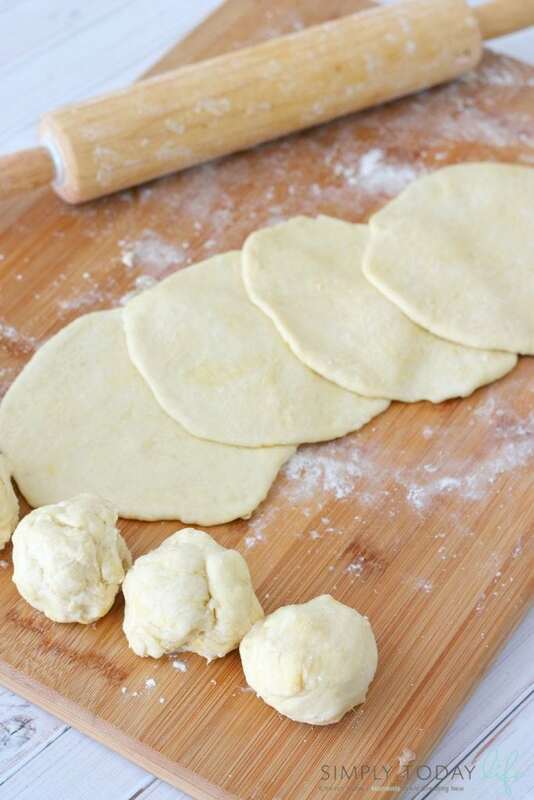 Use a rolling pin roll your dough into a flat disc. The empanadas don’t need to be perfectly round. 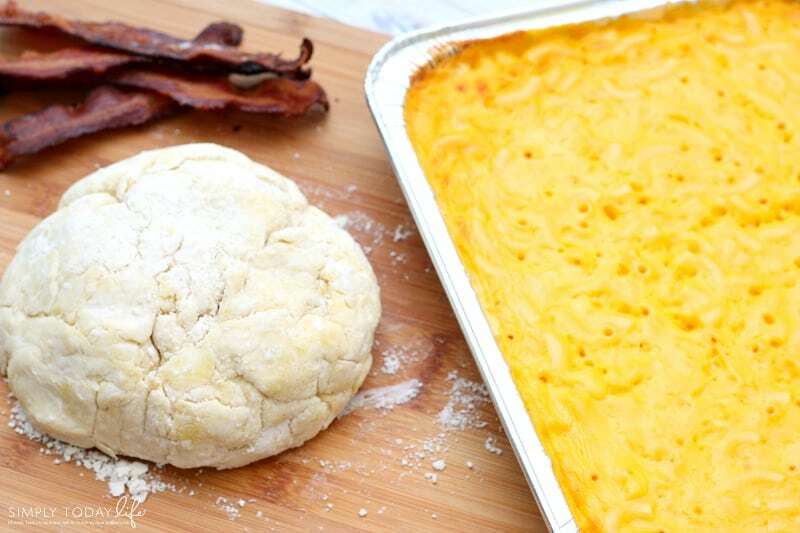 Scoop up a spoonful of mac and cheese on to a flatten dough disc and sprinkle crumbled bacon on top. 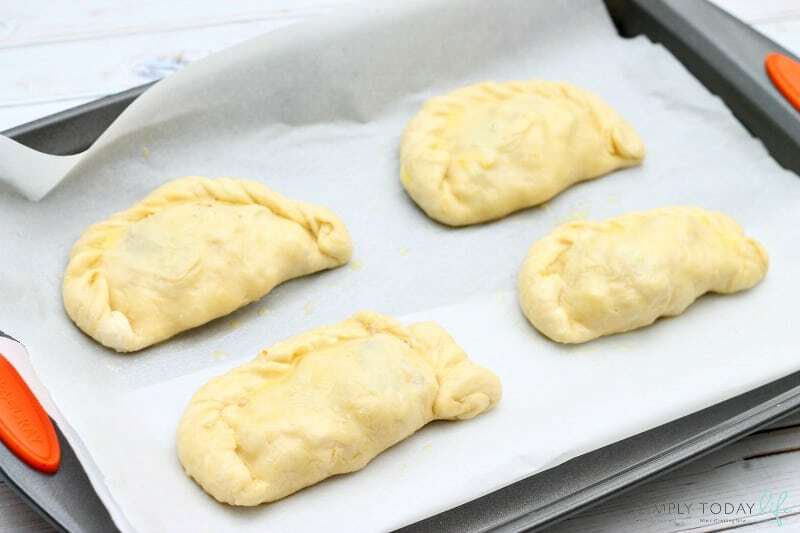 To seal your empanadas, you fold the dough pinching both tips together. You can use a fork to seal, or you can twist and seal. When you finish sealing all of your empanadas, brush on some egg wash to give it a crispy and golden top. Bake at 350 degrees for 30 minutes. Tip: I usually fry my empanadas to give it a flakier texture. Baking them is a healthier and faster version. If you deep fry them, do not add egg wash.
Don’t have the energy to cook? Create this recipe ahead of time, freeze or leave in the refrigerator overnight. The holidays are about spending time with loved ones and to do that we shouldn’t have to feel stressed! 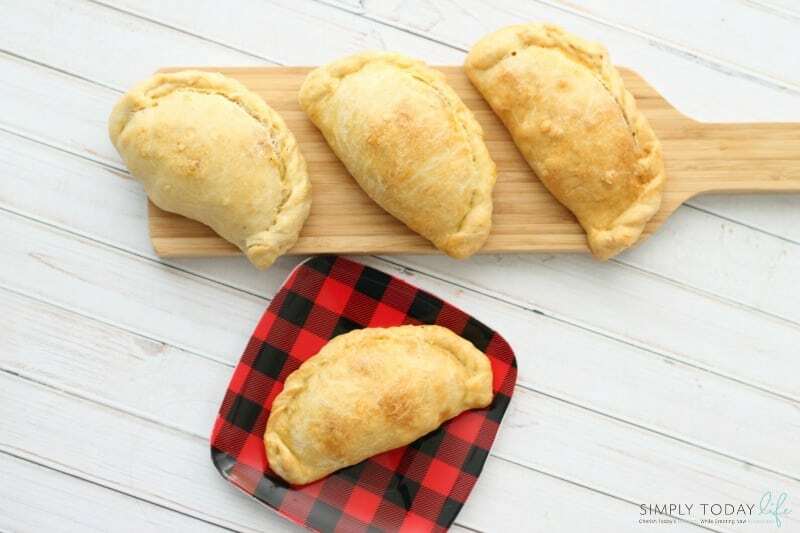 So parents, take a load off this year and create some Semi-Homemade Bacon Mac and Cheese Empanadas for your family. They will love it, and you will enjoy not having to stress about making a homemade meal. Make sure to check out some of Nestle’s other products like DiGiorno Frozen Pizzas! We love adding our fresh veggie toppings and extra cheese to create a semi-homemade pizza night. Perfect again for the holidays! What other Nestle products do you love using at home to make the holidays memorable? Thanks so much Monica! It was definitely delicious! Just make sure to hide some for yourself, because they will be gone quick! LOL! These look really delicious! Thanks for the great recipe! 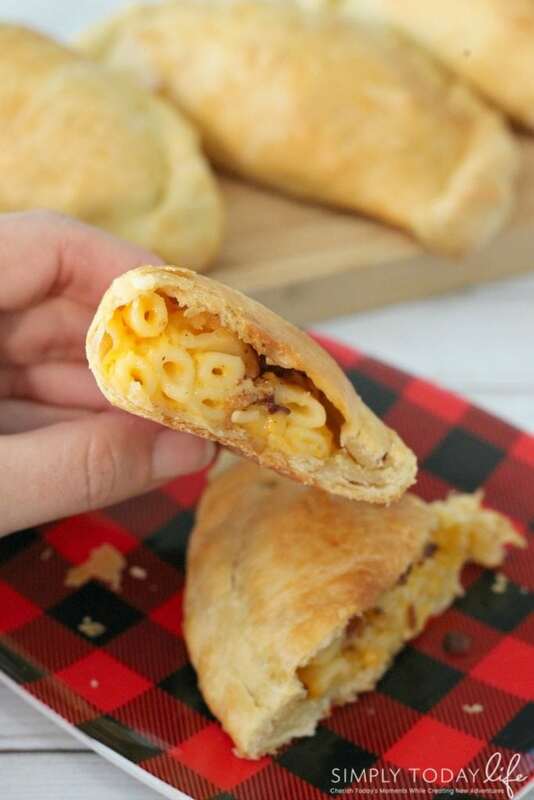 I love empanadas, and this is a great idea to add bacon and macaroni and cheese. My entire family would really enjoy these. It would also be a great food to serve at a party.